Towards the western portion of Tokyo Metropolis lies the city of Mitaka. This city is located on the Kanto plain, which is considered the largest plain in Japan in the Kanto Region of central Honshu. Along this city runs the Tamagawa aqueduct that was historically constructed by Tokugawa shogunate. This aqueduct was built for the purpose of supplying drinking and firefighting water during the Edo Period. Also, it is said to provide irrigation to farm villages along the duct. The total area of this wonderful city is estimated at 16.42 square kilometers, with a population of approximately 189,000 as of the year 2016. According to statistics, the city of Mitaka has the most Chinese residents out of all the municipalities of Japan. The city of Mitaka is considered a bedroom community for Tokyo. A bedroom community is a place where people live and is working elsewhere (from another city like Tokyo); this type of community has more apartments and residential houses than the commercial or industrial establishment. The distance from Tokyo station to Mitaka is approximately at 22 km. 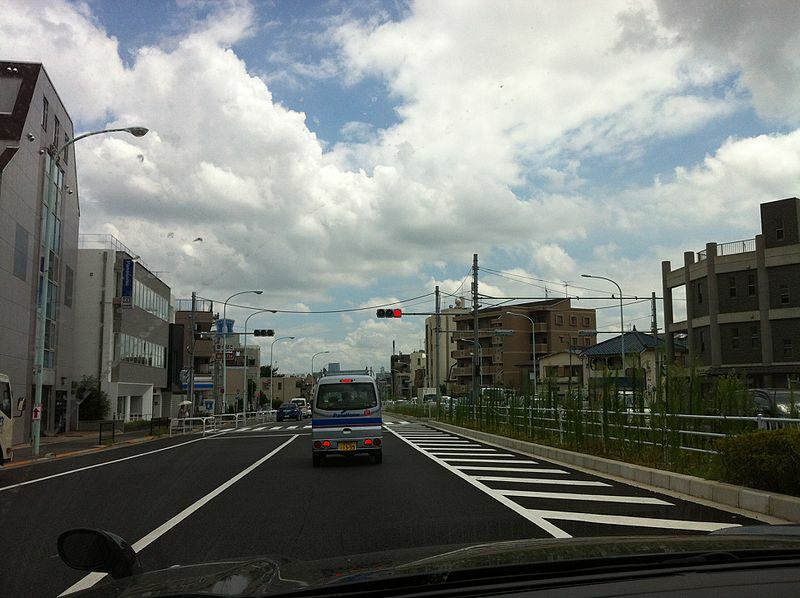 There are three options on how to get to Mitaka from Tokyo: Train, Taxi and personal car. Driving a car is the cheapest way to go to Mitaka and vice versa. The fastest would be by taking a taxi that would take only about 23 minutes to reach Mitaka but is quite expensive. The travel by train will take about 30 minutes which includes stopovers and waiting time. Same as other cities in Japan, Mitaka also has four seasons. The summers in this city are said to be short and hot, while winters are very cold but mostly clear. The warm season lasts for at least 3 months, it may start by June and ends by September. The cool season is longer that lasts at least 4 months, starting from December to March. To enjoy the rainless weather, it is best to visit Mitaka during the month of December with the least number of rainfall. On the other hand, the most number of rainfall recorded is during the month of September. 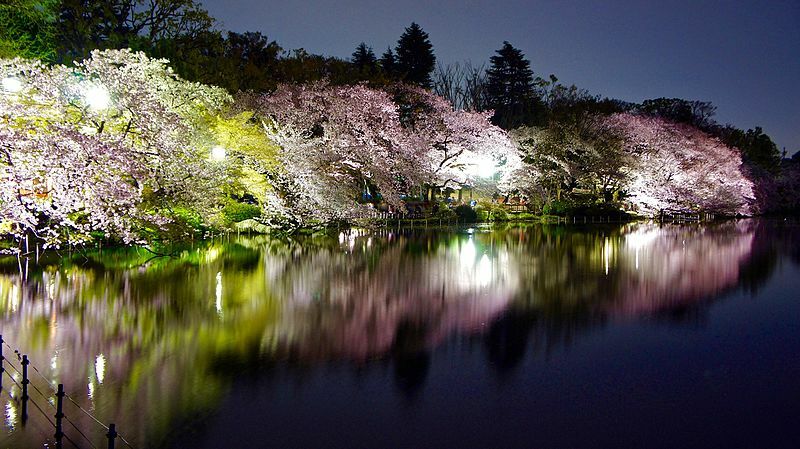 According to statistics, the best time to visit Mitaka is during the month of May to June. Apparently, there are a small number of hotels available in Mitaka because apartments are usually rented in this city. If a hotel is still the option for accommodation, the nearest that are available in Tokyo are 11 to 20 Kilometers away from the city. The favorite among travelers is the Tokyu Rei Hotel that is available for booking located in Musashino, Tokyo Prefecture, the rate is affordable with good service and amenities. The preferred type of accommodation in Mitaka are apartments that give a more feeling of comfort and the warmth of being in one's own home. The price of these apartments can be as cheap as Six Thousand Japanese Yen to at least Twenty Thousand yen per night. The apartments are located in quiet neighborhoods that are near the train station for the convenience of the renters. 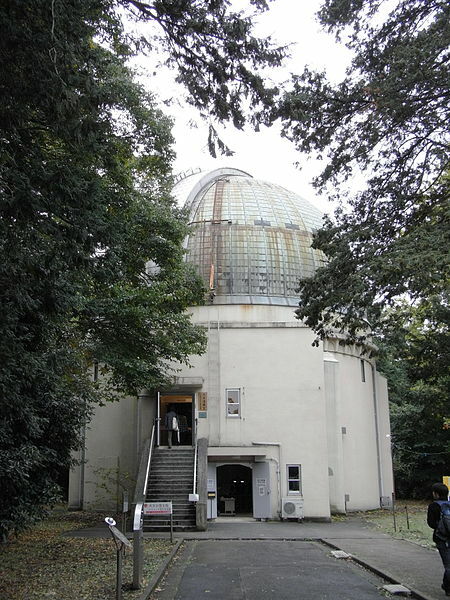 It was in 1924 that the observatory was moved to Mitaka, it was initially established in Minato-ku during the year 1888. It was constructed for the purpose of observing the stars to know the correct time and to calculate the calendar. It is located in 2-21-1 Osawa Mitaka and is open from 10 in the morning to 5 in the evening; the good thing about this place is that is absolutely free to enjoy. The observatory is accessible through 2 train stations: Musashi-sakai and Chofu station; both stations are about 40 minutes from the Tokyo station. The travel time from Narita and Tokyo Haneda airport is about 2 hours. Then from the train station, the Mitaka campus can be reached by bus or taxi; it will take approximately 10 to 15 minutes to reach the campus. The Mitaka campus can also be visited using a car, motorcycle or bicycle. There is a 20-cm telescope dome in the facility that is available for use; there are scheduled solar observation days wherein visitors can observe the sunspots on the sun's surface. This telescope dome is the oldest observational building in the observatory and is already considered as a tangible cultural property of Japan. This park was considered as a gift from the Imperial family to the public during the year 1918. It is located at 4-26-1 Inokashira; it is just merely 5 minute walk from Kichijoji station of the JR Chuo line and 1 minute walk Inokashira-koen station. Moreover, it is less than 20 minutes from Shinjuku or Shibuya. It is home to a number of different types of trees and a variety of plants such as Cherry Tree, azaleas, and cypresses. There is an elongated and narrow lake in the center of the park wherein the Kanda River flows; there is a portion of the park where the Tamagawa Aqueduct flows. This park has a petting zoo, an aquarium and a place where musicians and entertainers perform. Thus, the park is very lively during the weekends and Cherry Blossom season. In addition to this, row or swan boats can also be rented for the price of Six Hundred Japanese Yen plus Two Hundred Yen every extra for 30 minutes. On the southwest corner of the lake is a beautiful and colorful shrine that is used to worship Benzaiten. She is a goddess of everything that flows like water, time, words, and music. She is one of Japan's lucky eight gods and is the Japanese incarnation of Hindi goddess Sarasvati. There is a myth that Benzaiten is a jealous goddess so for couples who rows boat in the lake will eventually break up from their relationship. For those who are interested to visit the zoo, there is an entrance fee of Four Hundred Yen for Adults and One Hundred Fifty Yen for children. Once inside the zoo, all sorts of animals can be seen like Monkey, guinea pig and different types of birds. Shinguruma is a waterwheel built during the Edo era that is along the Nogawa River in Osaka. It was donated to the city by Mr. Kyoshi Minegishi in the year 1994, he was the previous owner of the said waterwheel. The Shinguruma showcases the Japanese craftsmanship, which is considered sophisticated and traditional, during the Edo, Meiji and Taisho Era. Thus, the Japanese considered this national treasure as an important cultural asset and is now known as a Mechanical Engineering Heritage. This cultural piece is located at 6-10-15 Osawa and can be accessed through a 5-minute walk from Ryugen-Ji bus station. It is closed every Wednesday but opens if a holiday falls on a Wednesday. The entrance rate is One Hundred Yen for and free for children in Junior High and under. This quiet and peaceful temple is famously known as Eikando, which belongs to the Jodo sect of Japanese Buddhism. There is an entrance fee of Six Hundred Japanese Yen before entering the temple, which is considered worthy of the money spent. This is considered the best place for prayers and meditation. It is located at 4-18-20 Shimorenjaku and is open from 9 in the morning to 5 in the evening. Osamu Dazai is famous among the locals of the city as one of the greatest fiction writers of the 20th century. It is a 20-minute walk from the Mitaka station. It is located at 4-18-20 Shimorenjaku and is open from 10 in the morning to 5 in the evening. 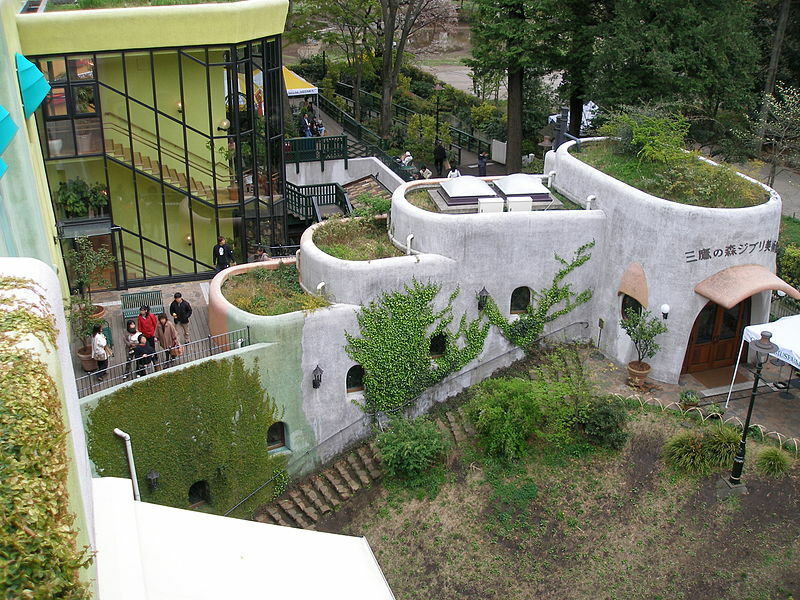 The Ghibli Museum is also known as Mitaka No Mori Jiburi Bijutsukan or Mitaka Forest Ghibli Museum. It is a museum that displays the animation works of Studio Ghibli. It is found inside the Inokashira Park that is in Mitaka or western city of Tokyo. It was constructed in the year 2000 then officially opened in October 2001. This establishment was designed by the famous filmmaker and director Mr. Hayao Miyazaki. The designs inside the museum were made that it will be similar to the films that he created. Mr. Miyazaki is a famous film director, animator, producer, screenwriter, and artist. He is also recognized as one of the greatest directors of an anime film. Some films that he directed with Ghibli studio are Castle in the Sky, My Neighbor Totoro, Kiki's Delivery Service and Porco Rosso. The theme of his works is usually about the relationship of the human with nature and technology. In addition to this, his works also focus on the significance of art and craftsmanship. The museum was usually described as the portal to the storybook world. It aims to be an uplifting and unique experience, especially for the first time visitors. The key feature of the museum is a five-room exhibit that shows how animation filmmakers use illustration techniques; this includes books, toys, illustrations, and drawings that are posted on the wall. A mock design of an animation studio can also be seen in this museum. In the basement of the museum, there is a small theater called The Saturn Theater. This small theater has about eighty seats and shows the short films made by Hayao Miyazaki; some of these short films include the whale hunt, looking for Home, A Sumo Wrestler's tale and many more. There are other additional features of the museum such as Tri Hawks, Mamma Auito, Straw Hat Café, Catbus room and Rooftop Garden. The Tri Hawks is bookstore and library that is part of the museum; the Tri Hawks came from the word Mitaka means three hawks. The Mamma Auito is a gift shop located on top of the museum; it sells merchandise that shows classic and non-japanese animation films. The Straw Hat Café is the only restaurant inside the museum; it serves snacks, hot and old food, desserts and their very own alcoholic beverage called The Valley of the Wind beer. The food in this café is from organic farms that are considered fresh and healthy. The Catbus room is a playroom specially designed for children 12 and below. On the rooftop garden, there is a five-meter tall giant soldier robot that is adapted from one of Miyazaki's Japanese film; green patches of plants surround the giant soldier robot. The entrance tickets are available for a cost of One Thousand Yen for Adults, Seven Hundred Yen for Junior High Students and Four Hundred Yen for elementary students. Tickets should be bought in advance from any Lawson store. If the visitor is from overseas, tickets can be availed at travel agencies. The museum is accessible by the Mitaka station using the JR Chuo line or visitors can also pass the Inokashira Koen station using the Keio line from Shibuya direction. This restaurant is famous among travelers because of the authentic taste of the food. Their ramen is considered to be one of the best in the area. The ramen is filled with noodles swimming in a thick broth topped with sesame seeds and green onions. Refreshing desserts are also available in this food place. The Gutara is located in 3-3-6 Osawa, Mitaka and it is open from 9 in the morning to 10 in the evening. This restaurant is located in 4-16-48 Shimorenjaku in Mitaka, it is open from 11 in the morning to 9 in the evening. Their main dish that is popular among travelers and locals is the cold tempura and buckwheat. This place also serves beef, which is considered to be a little expensive but delicious. This restaurant is located in 3-17-24 Shimorenjaku in Mitaka, it is open only from 3 in the afternoon to 9 in the evening. Their specialty is the oden dish that is considered the favorite among the locals and tourists. A collection of beer is also available that is perfect for unwinding.